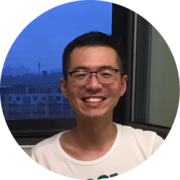 I am a PhD Candidate in the Center for Social Computing and Information Retrieval, Harbin Institute of Technology. I am very grateful for having Professor Ting Liu and Doctor Xiao Ding as my advisors. I like to think that maybe one day you'll be an old man like me, talking a younger man's ear off, explaining to him how you took the sourest lemon that life has to offer and turned it into something resembling lemonade.